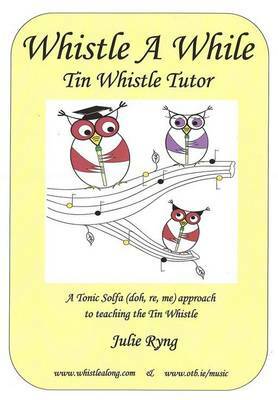 Whistle a While is the tutor for those who prefer to teach tin whistle using the 'doh re me' (tonic solfa) approach. The content is similar to Whistle Along but it has the tonic solfa notes (d, r, m etc) written over the staff notation. Song words are included where possible.